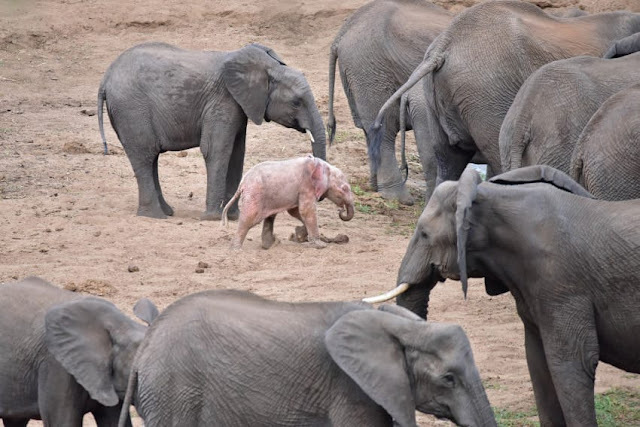 Did you know that 1 in every 10,000 mammals will be born with albinism? Albinism is a condition that results in a defect in melatonin production which leads to little to no color pigment in a mammal’s skin, hair, or eyes. Because it’s such a rare condition, most cases of albinism are well recorded. Nicki Coertze is a tourist and photographer who recently went on safari in Africa. Being an amateur photographer, Nicki was already ecstatic that he was able to take photos of animals he’d never seen before. Nothing could prepare him, however, for what he was about to see. 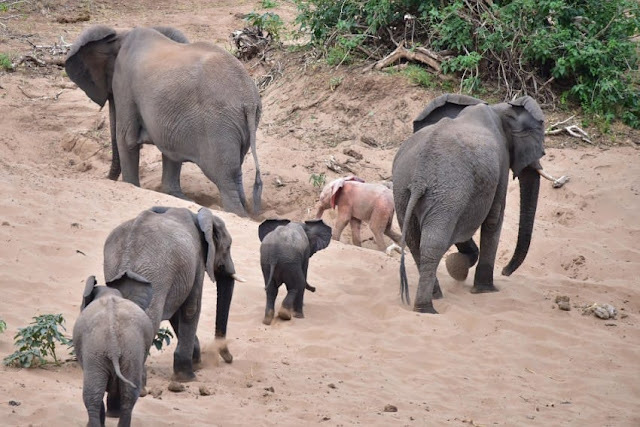 In the middle of a herd of elephants, Nicki noticed a small special elephant. 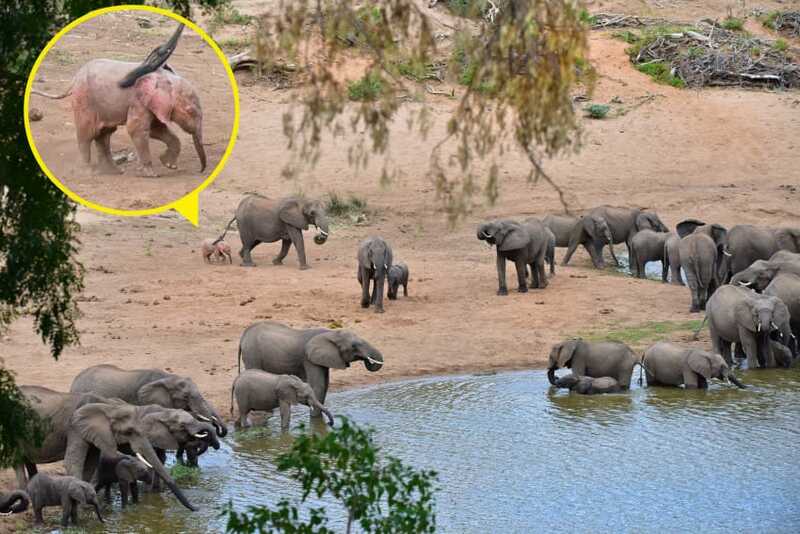 What was so special about the elephant? It was pink! 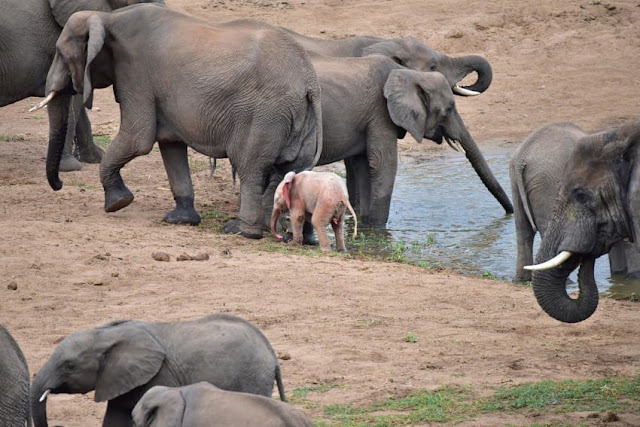 It turns out this albino elephant calf is truly a rare sighting in the safari. Nicki, amazed by his luck, took as many pictures as he could in order to remember this special moment. 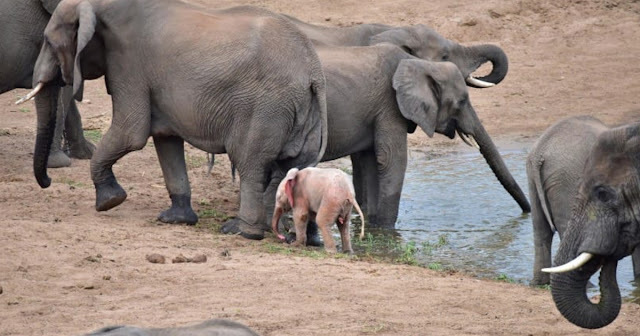 You can tell by these pictures that this albino calf is sticking closely to her mother. 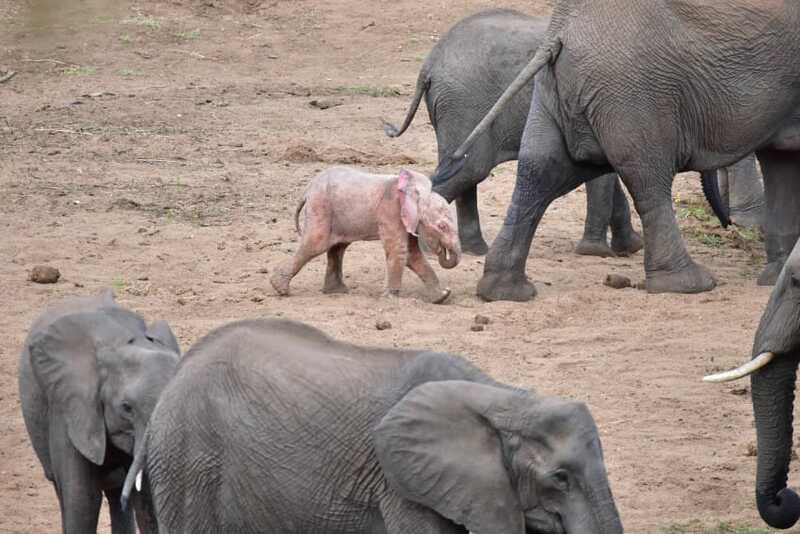 Because this albino calf is in an African wildlife park, she’ll remain safe from any potential poachers or hunters. 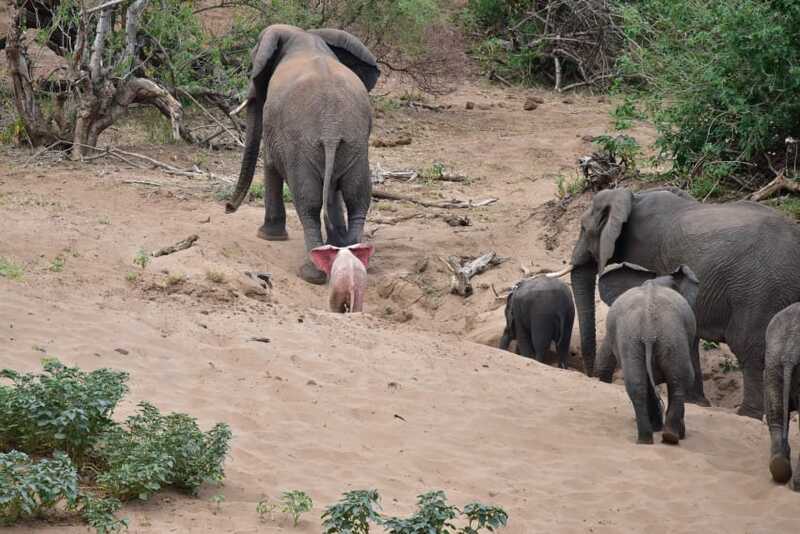 As she grows older, however, sun exposure will start to hurt the baby elephant more and more. 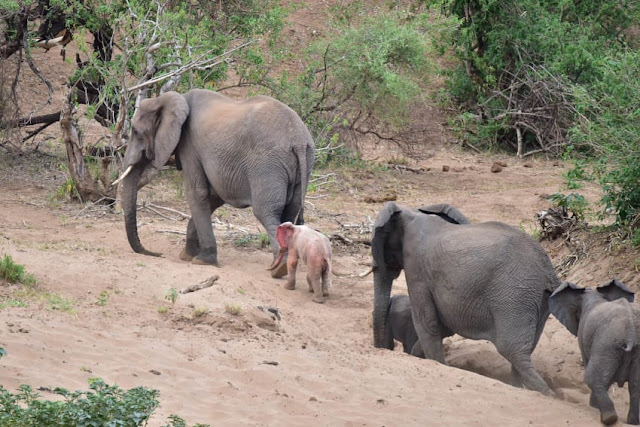 What did you think about Nicki’s rare sighting of an albino pink elephant? We want to hear your thoughts. Let us know in the comments below!